Making cherished memories together—and with loved ones—was always a priority for the happily married couple of more than 25 years. So when Dee was diagnosed with brain and lung cancer in summer of 2012, which had spread throughout her body, Dee knew immediately she wanted to focus on making the most of the precious time she had left with her beloved husband, family and friends. The couple discussed options for treatment with Dee’s doctor, including surgery, chemotherapy and radiation. 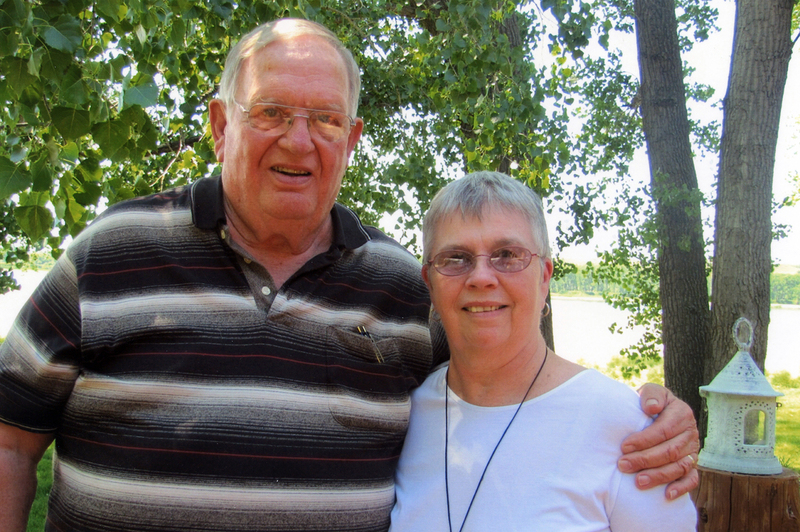 “Dee said no to chemo treatments and surgery,” Toot said. “And that was the smartest thing we ever did. She had a good quality of life right up until her end.” A steadfast faith guided Dee throughout her life, and especially as she neared the end of her life. 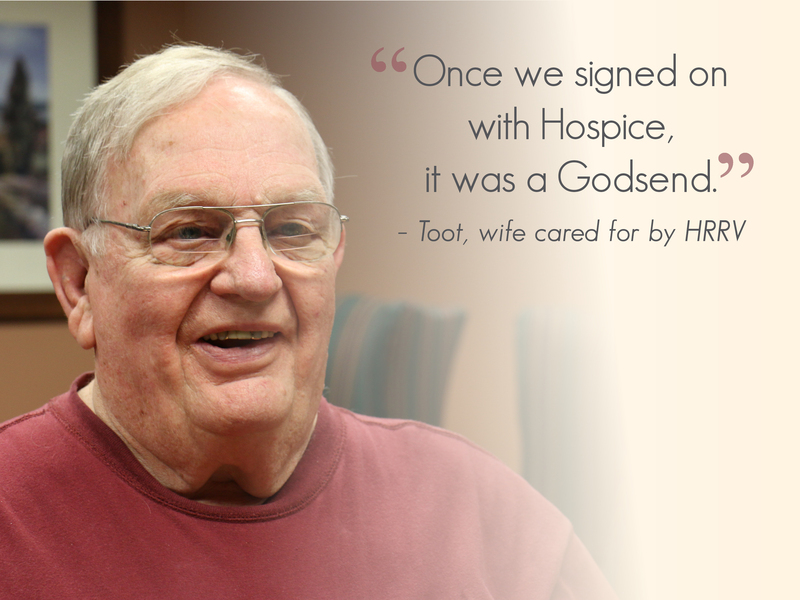 “She said, ‘Whatever the Lord has dealt for me, I’ll accept,’” Toot recalled. 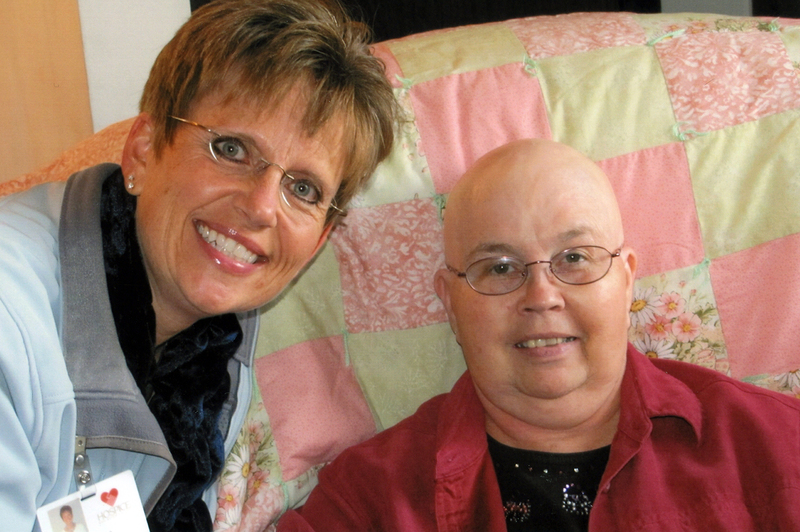 Dee received five radiation treatments to help shrink the brain tumor, and she and Toot decided—together—that Dee would begin hospice care so she could remain at home with her husband. 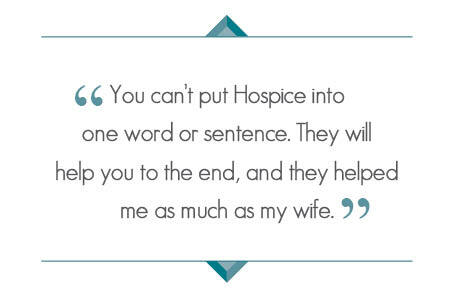 Being at home, rather than in a hospital, enabled Dee to accomplish many things on her bucket list and create many more moments with her loved ones, including frequent tea parties with her girlfriends, lunch dates, shopping and attending her son’s wedding as the matron of honor. “Dee knew she was going to die, but that didn’t stop her from living. Life gave her lemons, and she made lemonade all the way,” Toot described. Dee passed away peacefully at home on Nov. 7, 2012, surrounded by those who loved her most. 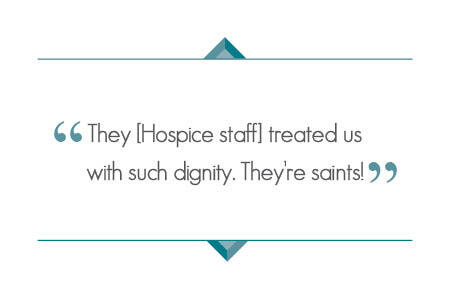 And since then, Toot has found a new kind of support through Hospice: one-on-one visits with Bereavement Manager, Wendy, and ongoing grief support groups. “There have been some times when I felt down when I came in for grief support, but boy, when I’ve left, I have felt like a new person! Your facilitators are so great,” Toot said. Watch a video featuring Toot and photos of Dee.